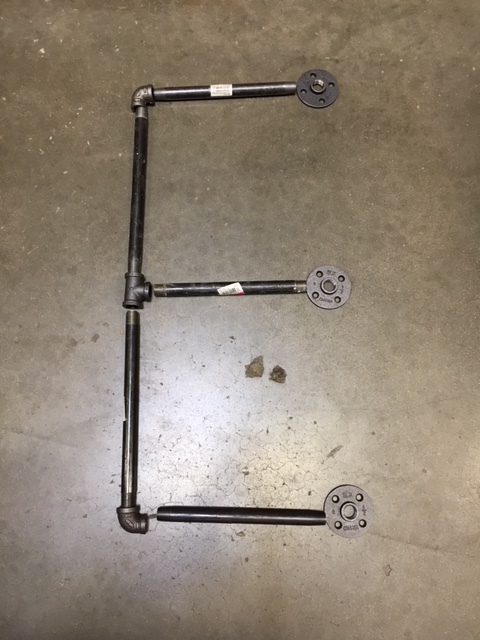 This week I am creating an industrial pipe shelf for my son’s teenage retreat. 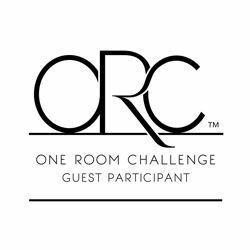 We are in the final weeks of the One Room Challenge hosted by Calling It Home . It has been a long few weeks as we work to put the finishing touches on our teenage son’s room. 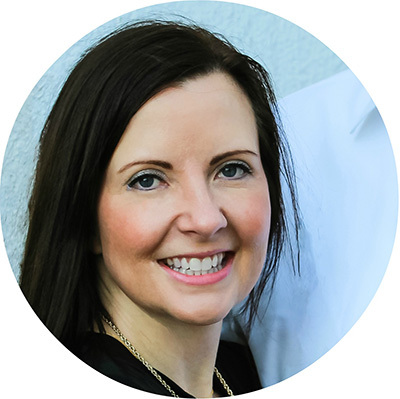 Next week I will be posting the final reveal and can’t wait to give you a tour! For this project I wanted to create a simple shelf where our son could place some of his treasures while also creating some visual interest next to our barn wood wall. With a quick trip to the local hardware store, we were able to find just what we needed. We picked up some Seamless Fittings just in case. I knew we needed to create two brackets to hold each wood shelf. We were lucky to have some barn wood left over from the wall and were able to cut it down to the perfect size. Our shelves are 30 inches long. 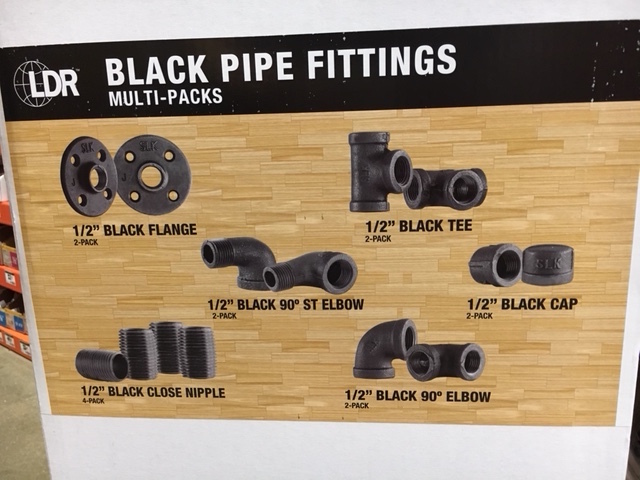 Black pipe fittings were sold in multi-packs in the 1/2″ inch size. The fittings are sold in various sizings but we determined the 1/2″ inch size would be a nice proportion for the overall size of the shelf. Literally this project was so easy. All the pieces were simply screwed together. After finding appropriate wall studs, we used screws to attach each flange directly to the wall. Then the wood was put in place. We decided to add the conduit fittings on the under side of each shelf to provide additional stability so the shelves wouldn’t move. 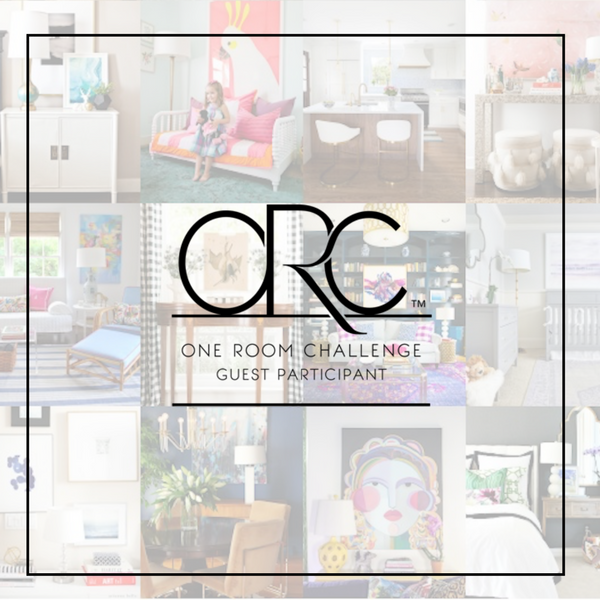 Don’t forget to check back next week for the final reveal of our teenage son’s room for the One Room Challenge. I am so excited to finally reveal this space! Thank you Kelly! I really love this industrial look for our son's room and am so excited to see it come together. Can't wait for the final reveal! Thank you! For now we have some of our son's favorite keepsakes on there. Hi Susie! These shelves would be perfect in a man cave. I couldn't believe how easier they were to build. Simply screw the pieces together and adhere them to the wall. It was done in no time! The shelf looks great with that awesome wall!! I love a good industrial style shelf :) I can't wait to see the whole room next week!! Thank you Susanne! I am so excited to see this room come together and even more excited to see my son loving his new room! This turned out so amazing! Love that in a boys room. Thank you Sarah! Our son is so excited about his new room! 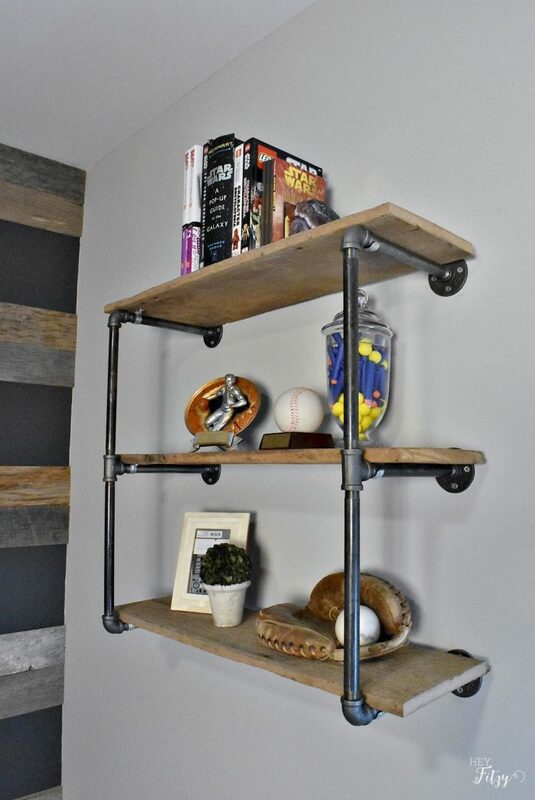 Oh I really love those floating pipe shelves, they are one of my favorite things right now. Also I love the peek of the focal wall, I am so excited to see you project complete!!! Thank you Jen! I can't wait to see everyone's final reveal next week! Pipe shelves are the best! Yours looks amazing! Thank you Emy! I can't believe how easy they were to make! I love industrial pipe shelving! But haven't seen a DIY of it until now! Well Done! Thank you Denise! I can't believe how easy it way. Just screw the pieces together and the project is done in no time! Thanks for the tips, going to have to try it out! 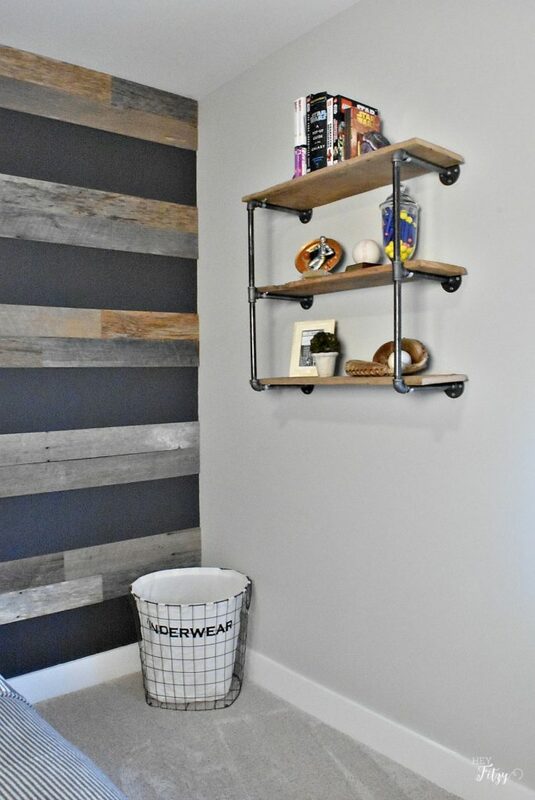 The industrial look is perfect for a boys room and looks great with the plank wall! Thank you Mary! I am so excited with how this room is coming together! 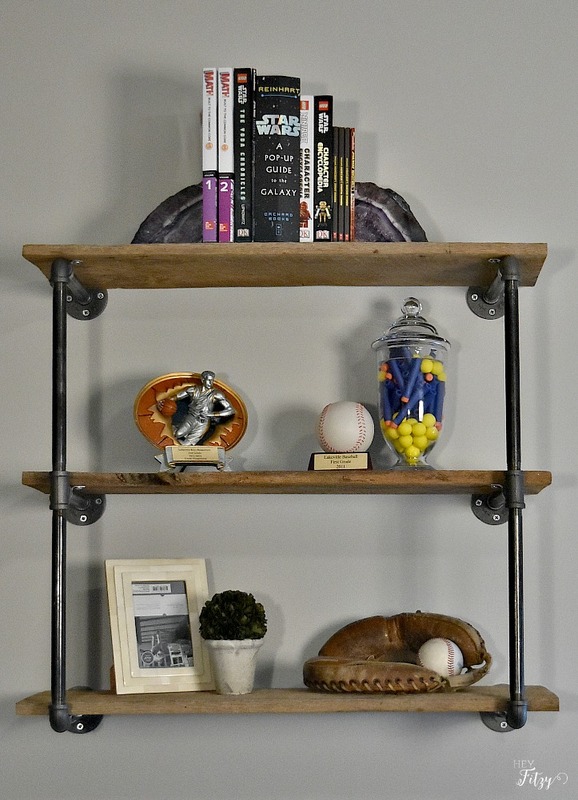 I love the industrial vibe this shelf brings! Can't wait to see the reveal. Thank you Libbie! I am so excited to finally reveal this space! Hey!!! We have that pop up Star Wars book too...how cool is that book? But, back to your shelves...they look fantstic. Know your son is loving his 'new' room. Thank you my sweet friend! You have great attention to details! That Star Wars book has been one of our favorites over the years. Love that shelf! Good luck finishing up! Thank you Jillian! I can't believe how easy it was to build!